Dynamix Music was founded in 1990 by group fitness & personal training veteran, Mark Hoffman who was also a part time club DJ during the late 80's. 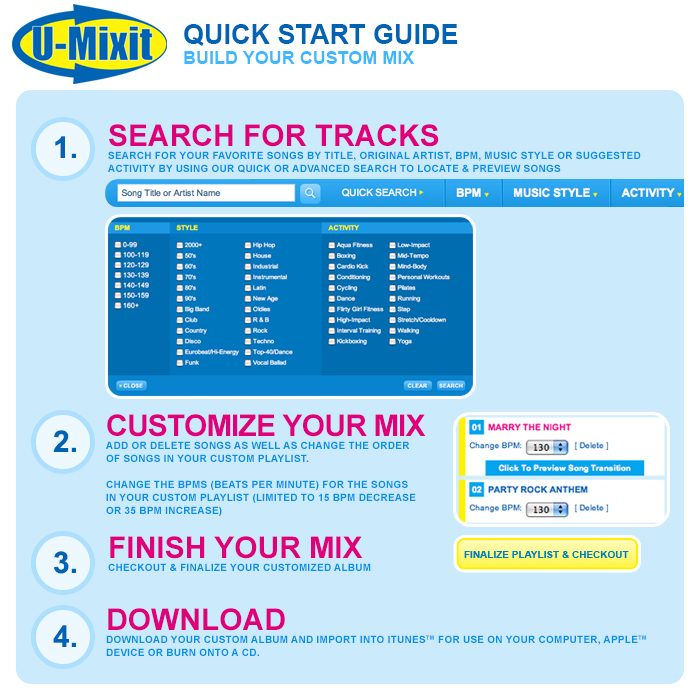 We offer over 150 compilations suitable for a vast array of fitness activities as well our custom mixing service; U-Mixit.com featuring over 2000 songs. Music styles include, Top 40/Pop, Dance, Club, Big Band, 50's, 60's, 70's, 80's, 90's, Traditional Rock, Alternative Rock, British Rock, Classical, Instrumental, Country, Latin, Disco and Light Jazz. Music is available on CD as well as digital download to a traditional computer or mobile device using our free mobile music APP, complete with built in pitch control. Stability is the cornerstone of success for any business. In today's volatile economy and staffing challenges, Dynamix prides itself on maintaining a constant core management team. Top management team members have all been with Dynamix Music for more than 20 years. We believe we live up to the highest of industry standards, bringing new and innovative music formats that meet the needs of the changing fitness market. We know you will feel the same! For more information contact us via email: dynamix@dynamixmusic.com or toll free at 1-800-843-6499 Monday through Friday 9 AM – 5 PM Eastern US time.